Math Mammoth Percent is a worktext (with both instruction & exercises) that teaches students the concept of percent, how to calculate the percentage of a number, to figure discounts, sales tax, and interest, to draw circle graphs, to differentiate between a percent of change and a percent of comparison, and to know how to calculate both. The text is suitable for grades 6 through 8 (middle school). 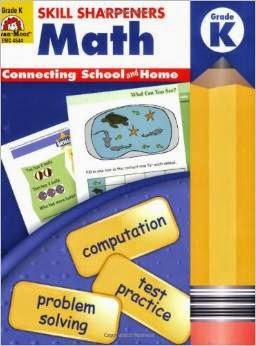 This book has been now updated to include many new lessons that will ALSO be in the upcoming Math Mammoth grade 7-B. This means that you can use it to continue pre-algebra studies after 7-A. Hello! Is there a placement test to see if a child is ready for 1A? We went over the kindergarten review and she did well with that, but I'd hate for her to get started and then discouraged. Is there a kindergarten curriculum that you'd recommend? My goal has been to not do anything formal for kindergarten math, but she wants it and is ready. Thanks! The idea is to ask the child to think, "2 and how many more makes 5?" "2 and how many more makes 3?" Objects can also be used. I just got word about a new review of Math Mammoth, from Kate's Homeschool Math Help. The owner, Kate, has written helpful reviews and buying guides for Math Mammoth, Singapore Math, and RightStart Math. She also has lots of other tips for teaching math or choosing a homeschool math curriculum on her site. Kate says, "I'm a math educator turned homeschool mom. My mission is to help homeschool parents hone their teaching skills and teach math with confidence." Her Math Mammoth review is here.